UNITED NATIONS PLAZA, NY, USA, February 6, 2019 /EINPresswire.com/ — While attending the SDG Lab in partnership with the UNGSII Foundation and the SDG Cities 25 + 5 Programs during the World Economic Forum’s annual gathering in Davos, Switzerland, World Sports Alliance IGO Treasurer, Mr. Asa Saint Clair, was asked to speak on a panel regarding sustainable home building. Also on the panel was actor and martial artist Steven Segal promoting his platform of sustainable energy. The ideas were to be utilized in connection with the United Nations Office for Project Services (UNOPS) initiative to build 220,000 affordable, “green” houses in the African countries of Kenya and Ghana. As a result of the key findings of the panel, and in keeping with the private-public partnership model of the World Sports Alliance IGO, and its Private Equity firm, VO2 Global, WSA has announced its entrance into the solar space with the launch of Lightstar Solar Inc, which incorporates the WSA’s iGObit & iGOchain Blockchain technology. World Sports Alliance already has a footprint in the solar space through its partnership with Solar Equity Group, of Scottsdale, AZ. Solar Equity Group uses a unique business model that leverages the use of federal tax credits as a means to finance solar projects across the USA. Solar Equity Group is a strong supporter of the Sustainable Development Goals and is the official energy advisor to World Sports Alliance IGO. SEG continues to remain a sponsor of World Sports Alliance (USA), and is a strategic energy partner for the activities of the WSA ecosystem worldwide. World Sports Alliance Intergovernmental Organization was formed as a direct result of a private-public initiative with the United Nations Department of Economic and Social Affairs (UNDESA/NGO-IRENE), as a means to promote diplomacy and socio-economic mobility within its now currently 33 member states using sports as a medium. World Sports Alliance operates on the Sport for Development and Peace platform and exists in furtherance of the United Nations Sustainable Development Goals. World Sports Alliance (USA), a Nonprofit Corporation is a 501(c)(3) foundation domiciled in the state of Arizona, with a near mirror image of World Sports Alliance Intergovernmental Organization. 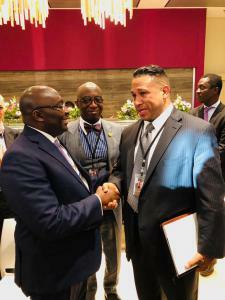 World Sports Alliance (USA) supports national and international amateur athletics, in the belief that sports is a positive benefit for society. With a focus on youth sports as a means to develop human potential physically, mentally, socially and emotionally, WSAUSA seeks to create positive experiences that builds young people up in preparation of life’s challenges. 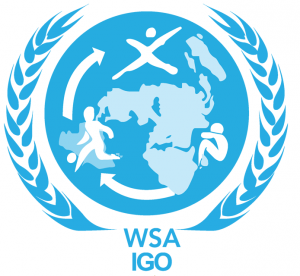 World Sports Alliance (USA) was formed in partnership with World Sports Alliance IGO. VO2 Global LLC is a multi-national conglomerate with the core discipline being the trading and physical supply of energy, metals and agriculture, as well as several private equity properties in the media, finance, logistics and fitness industries. VO2 Global also works in the area of infrastructure by designing, building, owning and operating water and power generation assets and operates in accordance with the United Nations Sustainable Development Goals. VO2 Global exists as a model to the business community, providing an example of how sustainability and entrepreneurship can not only co-exist but can also become a strategic advantage as a technology play.